A monthly religious and literary periodical serving the Welsh Calvinistic Methodists in America. The periodical's main contents were religious and educational articles alongside poetry. 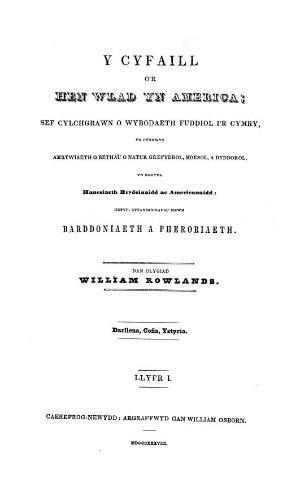 The journal was was edited by William Rowlands (1807-1866). Associated titles: Y Cyfaill o'r Hen Wlad (1848); Y Cyfaill (1844; 1881).